These were worn in Round 14, 2007 against Brisbane. 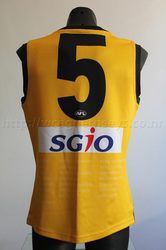 These are unique as they have a number printed on the front of the guernsey and the inaugural WA State team printed subtly on the back underneath the sponsor logo. 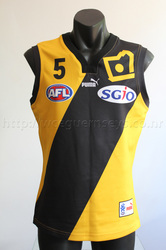 There are no watermarks printed throughout the guernsey. 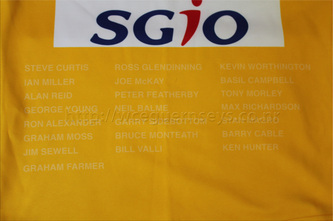 The names of the inaugural WA State team.